TAMPA, Fla. – Fans of southern rock will take to the high seas in fine style with the sailing of the sold out, Southern Rock Cruise! The Ultimate Tailgate at Sea will feature live performances by superstar southern rock artists as well as interactive fan events such as bourbon tasting, guitar seminars, artist panels, and Q&A sessions from many of the artists that were there when it started and are still entertaining audiences all over the world. “I can’t wait for the lights to go down and hear these bands I grew up with delivering their uniquely American blend of blues based rock to a crowd that’ll be on their feet from the first to last note. This cruise will be great music and a non-stop party like no other,” said Mike Jason of StarVista LIVE. The highly anticipated Southern Rock Cruise departs from Tampa, Florida on January 20, 2018 and travels to Jamaica and Grand Cayman before returning to Tampa on January 25th. Fans will enjoy a special onboard performance by Lynyrd Skynyrd in Jamaica and more than 40 other live performances by artists such as: 38 Special, The Marshall Tucker Band, The Outlaws, Molly Hatchet, Atlanta Rhythm Section, Wet Willie, Louisiana’s Leroux, Jaimoe’s Jasssz Band, Black Stone Cherry, The Curt Towne Band, Preacher Stone, Live at the Fillmore: A Tribute to the Allman Brothers, The Cowboy Poets and MORE! 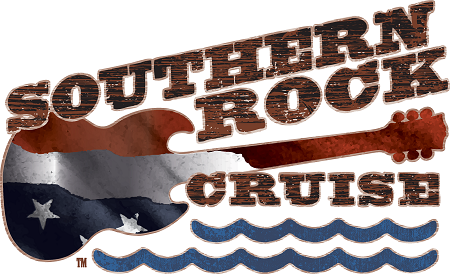 For more information and to be the first to hear about future Southern Rock Cruises sign up for the mailing list at www.SouthernRockCruise.com or click here. To catch waves on other Star Vista LIVE cruises, call 844-677-6884 or visit starvistalive.com.